30A home prices moved up another 6% this past year. 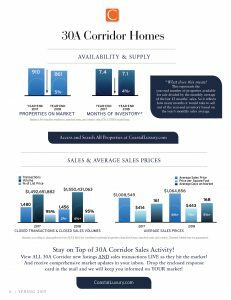 As we have noted in previous communications, the 30A corridor home and condo real estate market became a billion dollar annual industry in 2015. Since then it has grown to over $1.5 billion with 2018 increasing 4% over 2017. 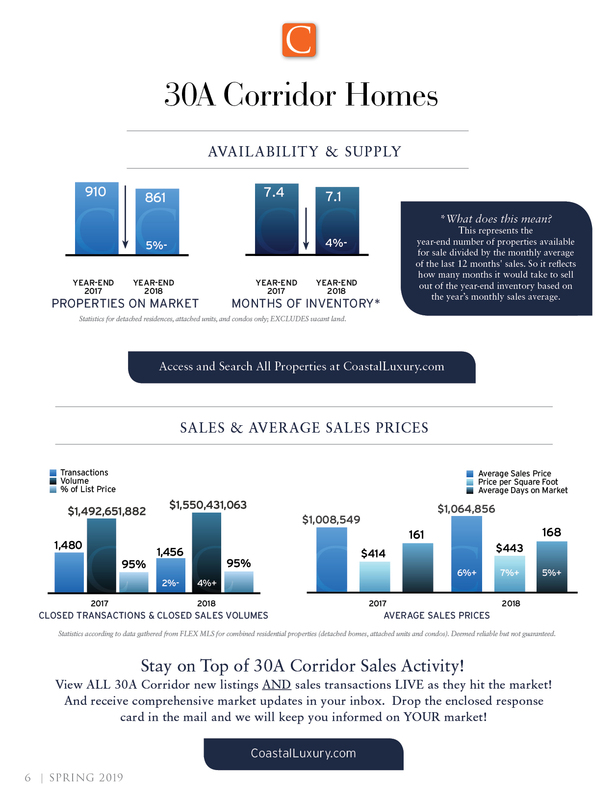 The number of transactions was slightly down in 2018 versus 2017; however, the average sales price and average dollar per square foot were up 6% and 7% respectively, propelling an increase in the dollar sales volume. 2018’s average dollar per square foot of sold properties was $443, a 40% increase over the last 5 years. This is putting smiles on some investors’ faces. The current number of properties offered for sale is relatively low, which may encourage potential Sellers. As of this writing, 820 properties were on the market ranging from a $198 thousand to $18.0 million with an average of $1.5 million. Southwest Airlines plans to add Kansas City as a flight to our Emerald Coast (ECP) airport in the summer of 2019. This adds to the list of nine cities (Atlanta, Austin, Baltimore, Chicago, Dallas, Denver, Houston, Nashville, St. Louis) with summer non-stop flights. The sustained interest in our area is certainly increasing accessibility. 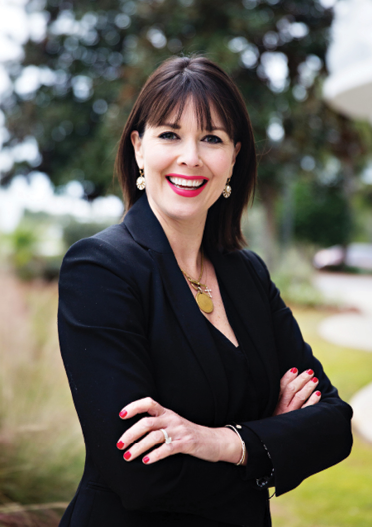 We anticipate this will continue fueling our 30A corridor real estate market.